Everything I know I learned in vaudeville. Nothing good comes from a knock in the middle of the night. The windows rattled in their casings as someone banged on the front door. I roused myself from sleep, thinking that between the banging and the cold, the glass would surely break. As it turned out, mere broken glass would’ve been a blessing. I heard Mother’s thumping footsteps in her bedroom below, through the kitchen, and across the living room, and I scurried downstairs to meet her, followed by my older sisters, Gert and Nell. Mother was at the front window, her back hunched against the cold, the few threads of silver in her hair made eerily iridescent by the streetlamp. She peered through the curtains she’d made from cut-rate lace. They did nothing to keep in the heat, but she said they gussied up the place, and the occasional hole in the pattern made it easier to peek through if you didn’t want someone to know you were watching. She stood motionless, like a rabbit after the snap of a twig, trying to determine whether the door should be opened or, as was sometimes the case in our neighborhood, a chair wedged under the knob. “Nobody there,” she whispered to us without turning. “Where’s Dad?” Nell asked, wrapping her thin arms around her. “His temper?” Gert’s tone conveyed the skepticism we all felt. Dad was the most placid man we knew. Yet his voice did take on a slightly brittle edge at the mention of the rapidly approaching Prohibition Act. He didn’t tend toward drunkenness himself, nor to public consumption in rowdy beer halls, preferring to sit home with his Blatz beer and sip quietly in the midst of his own rowdy family. He could not understand why Congress had taken this away from all the well-meaning souls whose lives were speckled with hardships of every variety, and who just wanted to enjoy the gentle lulling effect of a libation or two in the evening. Though it would not go into effect for another year, once he saw that headline, Dad had been even quieter than usual. That tar-black night, Mother opened the front door with the three of us, now joined by our youngest sister, Kit, crowding behind her. What we saw, we’d never seen before. Dad leaned against the doorjamb, blinking slowly, a wobbly half smile on his lips. Blood seeped from crooked gashes on his right hand, bone visible at two of his knuckles. His fingers were bent at unnatural angles as if they’d been smashed under the heel of a boot. He stumbled through the open door, and Mother lurched forward to catch him. With uncharacteristic care, she half guided, half carried him to a kitchen chair. Kit brought a pot of warm soapy water and a rag, and I dabbed at the jagged, pulpy wounds to get the grit out. Mother hustled Dad and me through the dark streets toward Our Lady of Lourdes Hospital, our breath pluming like frozen feathers into the air, and I practically had to skip to keep up. I had an after-school job as a nurse’s aide in the Lourdes maternity ward; Mother brought me along in case my experience or connections, lowly as they were, might come in handy. They did not. I recognized a nurse in the Emergency Department, but she didn’t have a reciprocal response. Without my uniform, she likely mistook me for a child, as my small stature often prompted people to do. As for experience, I could have discussed any number of baby delivery procedures (having shut my mouth and listened carefully in the nurses’ break room as often as I could justify my presence there), but thankfully broken bones and torn tendons were not issues we generally faced on the maternity ward. The Emergency Department halls were quiet, save for the murmurs of worried family members or nurses checking vitals, white curtains billowing with their comings and goings. The place smelled strongly of carbolic, and I knew some poor nurse’s aide like myself had recently cleaned up a mess of some kind. I looked down at my hands, dry and cracked around the knuckles. At seventeen years old, I had already scrubbed away a lifetime’s worth of bodily events. We were ushered behind one of those curtains, and the doctor, an elderly fellow with a tentacular bush of gray hair, applied shots of Novocain to numb Dad’s hand. He then began the lengthy task of stitching up all that damage. The old doctor’s fingers trembled as he stabbed the needle under the skin and tugged it out on the other side, the stitches growing increasingly more uneven. Though I was a poor seamstress, I had the absurd notion to offer to help. Dad lay on the gurney with his eyes closed. Mother always went gray as old bedclothes at the sight of a pinprick, so she’d stayed in the waiting room. I was the sole witness to the doctor’s skill slowly wilting like a dying flower. The sun was just beginning to lick up through the treetops in the Floral Park Cemetery as we walked home. Mother was quiet, but her fury pulsed like aftershocks from an earthquake. Father, now sober enough to suffer both the physical pain and the mental anguish caused by what he’d done, was also mute. For myself, I vacillated between the childish belief that things couldn’t possibly be as bad as they seemed, and the adult knowledge that they could hardly be any worse. Mother suddenly turned on Dad. “You’re a boot stitcher, for godsake!” she hissed. My father worked at the Endicott-Johnson shoe factory. He spent each day with a large metal needle in one hand, wrenching it through stiff soles and thick leather uppers grasped in the other. I’ll make it plain: there is no such thing as a one-handed boot stitcher. In fact, in a shoe factory, there is no manual labor that can be done by a man with a crushed dominant hand. When we opened the front door, my sisters were crowded into the kitchen. Nell poured coffee from the percolator. Kit sat at the gate-leg table eating a soft-boiled egg; Gert ironed her shirtwaist. To their credit, no one gasped when they saw Dad’s hand wrapped up like a mummy. Then Dad spoke. “I . . . I’m sorry . . . ,” he stammered, eyes damp with remorse. My throat clenched in sympathy. Nell bit at the inside of her lip, Gert’s nostrils flared, and Kit inhaled a childish little sniffle. Mother let her hand rest on Dad’s shoulder, perhaps in acceptance of his apology, or perhaps it was simply to steady herself. After a moment, she gave him a little push toward their room behind the kitchen. “Go on and get some rest,” she said, her voice hoarse with exhaustion. She dropped onto one of the mismatched chairs and Nell put a mug of hot coffee in front of her. Mother took a sip, and we waited—for the solution to this seemingly insurmountable problem, or for her to howl like a wounded animal and throw her mug against the wall. I don’t believe I would have been truly surprised by almost anything she could have said or done in that moment. She could have told us she was selling our father into indentured servitude to pay the bills, and I wouldn’t have been truly shocked. She stared menacingly at the frost lacing the kitchen window, and we could almost see the schemes she silently conjured as they took shape and then were cast aside. Mother is a force, sometimes for our betterment, sometimes for retribution, and sometimes simply for her own entertainment. We waited, barely breathing, for her word. 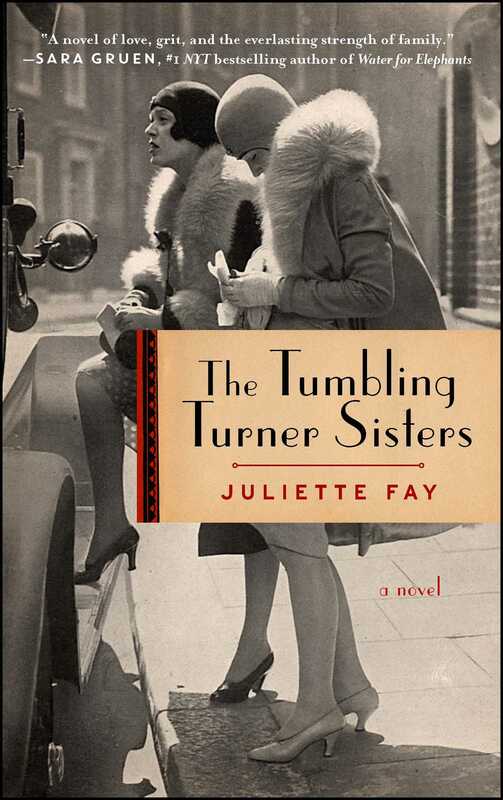 This reading group guide for The Tumbling Turner Sisters includes an introduction, discussion questions, and ideas for enhancing your book club. The suggested questions are intended to help your reading group find new and interesting angles and topics for your discussion. We hope that these ideas will enrich your conversation and increase your enjoyment of the book. It’s 1919, and in the world of entertainment, vaudeville is king. Nell, Gert, Winnie, and Kit Turner love going to vaudeville shows but have no interest in becoming performers themselves until their household is rocked by tragedy and they are faced with eviction. Along with their starstruck mother and Nell’s infant son, they hit the road as the Tumbling Turner Sisters, an acrobatic act that eventually lands them on the thriving vaudeville circuit. As they perform with a host of legendary acts (and some unsavory rivals), brash Gert and bookish Winnie encounter everything from hardworking dreamers to fast-talking swindlers. When their paths cross with Tip, a handsome African-American dancer who quickly steals Gert’s heart, they must decide what they’re willing to risk in a world that is far more complicated than they could have foretold. As the crowds applaud and the footlights blaze, the Turner sisters must balance the societal constraints of the day with the independent women they are learning to become. 1. Early in the novel, Gert muses about what she’s willing to do to have “a bigger, better life.” Going on tour certainly gives her a broader view of the world, but by the end of the novel, would you say her life is better? How does Gert’s definition of a better life change? 2. In many ways, gender roles in the Turner family are reversed: the women become the providers and work outside of the home, while Mr. Turner leads a more domestic life after his injury. Were you surprised by the amount of freedom women in the 1910s were depicted as having in the novel? Why or why not? 3. On p. 72, the Turners get a kick out of Kit’s newfound mastery of vaudeville slang. What familiar phrases were you most surprised to find had vaudeville roots? 4. Winnie, Gert, and Tip share a sense of being trapped by others’ expectations, exemplified in the competing concepts of “blacking up” and “living large.” In what ways do they fight society’s prejudices, and in what ways must they find compromises? 5. At the beginning of Chapter 18, Gert says: “You think your heart belongs to you, and you can order it around, but you can’t. You belong to it.” Do you agree with this statement? Why or why not? 6. Mrs. Turner is even more excited to join the world of vaudeville than her girls are. Why is vaudeville so appealing to her? What does it offer that her life at home does not? Could you relate to her? Why or why not? 7. Fay opens each chapter with a quote from a famous real-life contemporary of the fictional Turner sisters, including singers, dancers, acrobats, and comedians. Which quotation resonated most with you? 8. “How much bending of oneself was necessary to nurture one’s love for someone with differing views?” (p. 253). Though Winnie wonders about this in terms of her romance with Joe, apply this same question to Nell, Gert, and Kit. In what ways does each of the sisters risk conflict with others by being themselves? 9. What elements of this story felt most modern to you? What elements felt the most old-fashioned? 10. “Success in show business depends on your ability to make and keep friends.” Chapter 20 opens with this quote by singer Sophie Tucker. Think of some ways in which the Turners’ adventures in vaudeville prove this statement. In what ways do their friendships either bring them success or put their careers in jeopardy? 11. 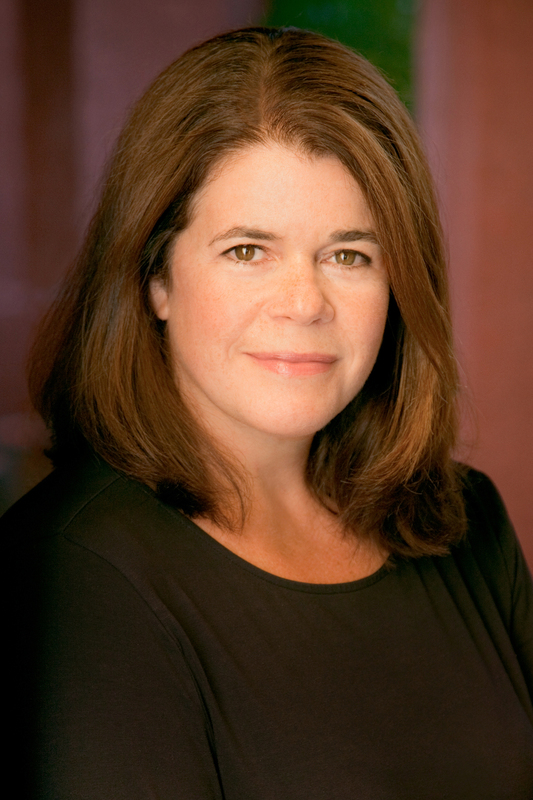 Think of ways in which each girl takes on leadership qualities over the course of the novel. How do these differ from one another? Who would you consider the “leader” of the Turner sisters? 12. Though Nell’s husband, Harry, never appears in the novel, his influence lives on in the Turners’ lives. How are Nell, Winnie, and Gert each affected by his loss? How does his memory and legacy affect their choices throughout the book? 13. Which of the vaudeville acts described in The Tumbling Turner Sisters would you most like to see live? 1. Vaudeville blossomed from coast to coast from the 1880s to the 1920s, and as Juliette Fay states in the introduction (and the Turners learn as they go on the road), even tiny towns would turn out in force to see the latest, greatest live acts. Do some research and see if your own town or a nearby one had a vaudeville theatre. If it still stands, take a field trip to see it. Can you imagine the Turners playing there? 2. Have each of your members pick a real figure who is mentioned in the novel, such as Margaret Sanger, Rita Hayworth, or Cary Grant. Do a short presentation on your chosen person for the rest of the book club, complete with images, recordings, or video if they exist. 3. On their romantic date at the legendary Maramor restaurant in Columbus, Ohio, Winnie and Joe try a “new drink” called a Singapore Sling, a sweet and fruity classic cocktail. While there are many variations, here’s a basic recipe. Make a batch for your book club! Add ¾ oz. gin, ¼ oz. Grand Marnier, ¼ oz. cherry liqueur, 1 oz. pineapple juice, and ½ oz. lime juice to an ice-filled shaker. Shake, and strain into a highball glass, then top off the mixture with club soda. Garnish with pineapple, orange, and a maraschino cherry.